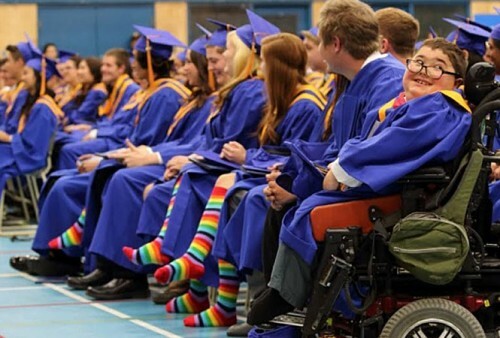 WHITEHORSE, Yukon — More than half of the graduating students at a Catholic school in Canada wore rainbow socks at their graduation ceremony over the weekend to support their school’s newly formed gay-straight alliance. The Yukon Department of Education told the school it needed to adopt a policy offering students the same rights as other publicly funded schools and conform to statutes, including human rights legislation. About 45 of the 81 students wore the rainbow socks.